Welcome our newest successful addition to our services! ​Need more energy to rejuvenate? Reserve your session today! ​He gave his first testimonial after session 8 when he began use his walker without being depleted from energy. By session 15, he began starting to use his cane! ​This second video is of him walking with better core balance with his cane after 23 sessions! He continues to gain strength and making progress. ​An individual who suffered with what he called brain fog, shoulder issues and service related hip displacement. An individual that is being seen for osteoarthritis, lower back issues and general low energy levels. Returning from a missions trip in South America feeling ill. She got better plus experienced ​even more positive results than expected! Soccer player who struggled with lower back pain for over a year. Swelling around the sciatica and lower back pain. Other sports related issues for knee and soreness also benefited. After going through cataract surgery PEMF gives her an additional unexpected benefit! A young man with Eczema and sweating issues. Anxiety issues were also reported being greatly reduced at school. PEMF works to help the body begin to make repairs. Check out the following videos to learn more! Remember, having healthy cells is not a passive process. Active, regular tuning-up of our cells is not only feasible, but also necessary to slow aging and reduce the risk of cell dysfunction. We are, after all, only as healthy as our cells. Imperceptible cell dysfunction that is not corrected early can lead to disease. Fine-tuning can be done daily in only minutes, using pulsed electromagnetic fields (PEMFs). In addition, when there is a known imbalance (when symptoms are present) or there is a known disease or condition, PEMF treatments, used either alone or along with other therapies, can often help cells rebalance dysfunction faster. Please share the information to everyone you know! Thank you for taking time to learn more about a natural way to restore the body's natural ability to heal. Simply stated, we are made of cells in a complex and wonderful way. The different presentations have given an explanation of PEMF Therapy benefits. Try it for yourself without delay, give us a call to start today! The last video looks at the cause of Rapid Aging Syndrome! Standard disclaimer: There are no guarantees that can be made that PEMF will work for everyone. It is a long term process and short quick fixes (while may be possible) are not to be expected. 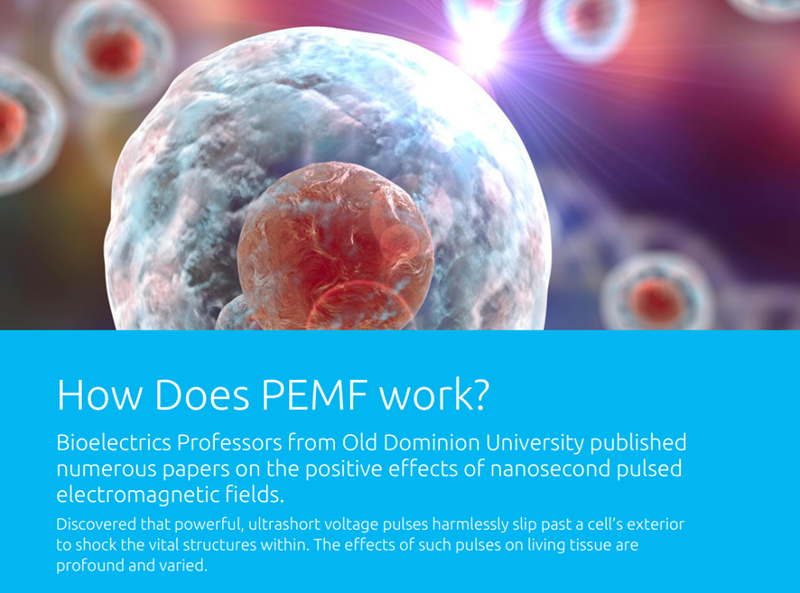 PEMF Exercise uses pulsed electromagnetic fields to bathe low energy cells in pure, raw energy. Each cell in your body is actually a capacitor, or battery, which holds a charge. Your entire body is electrical and your cells each need a measurable electrical charge to function optimally. In order to maintain good wellness, cells must be doing their jobs. PEMF Exercise supports the body’s natural abilities to optimize balanced body functions –the definition of wellness. 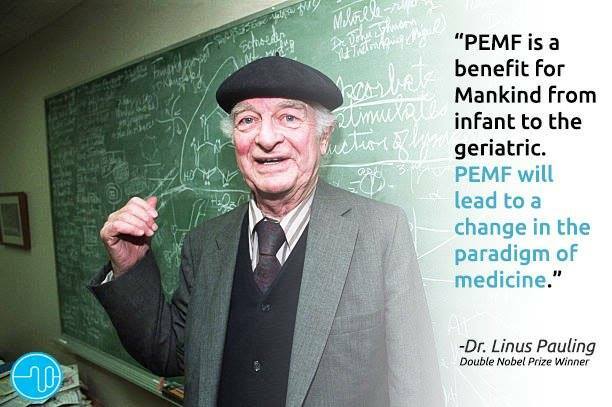 There are no treatments, diagnosis made or claims of healing made with any PEMF devices available on the market. Any testimonials given are made by individuals who have found PEMF or cellular exercise beneficial. While there are individuals who have made amazing progress, each person is unique and has different life styles and/or physical conditions that influence session progression. It took time to get your body where it is, and it will take time to make desired progress.